You will not be surprised to hear that the Princess cocktail is just a bit on the frou-frou side. The overall flavor can best be described as “creamy apricot.” We’re practically in a Disney movie here! The main ingredient is a full shot of apricot brandy, which people tend to either love or hate. The heavy cream mellows out the brandy’s sweetness a little bit, but it’s still pretty dominant. This is a nice dessert drink, and it’s also fun to pair with a salty snack. It’s a very easy drink to make in advance for a party, assuming all your guests are apricot brandy fans. 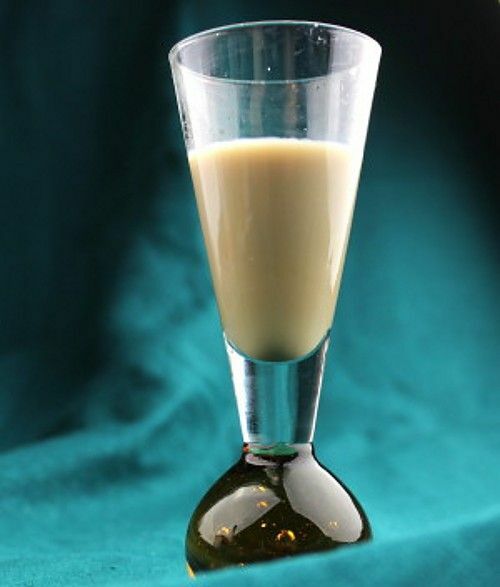 Pour the ingredients into a liqueur glass and stir.